The Peace Symbol is still hip after more than 50 years. 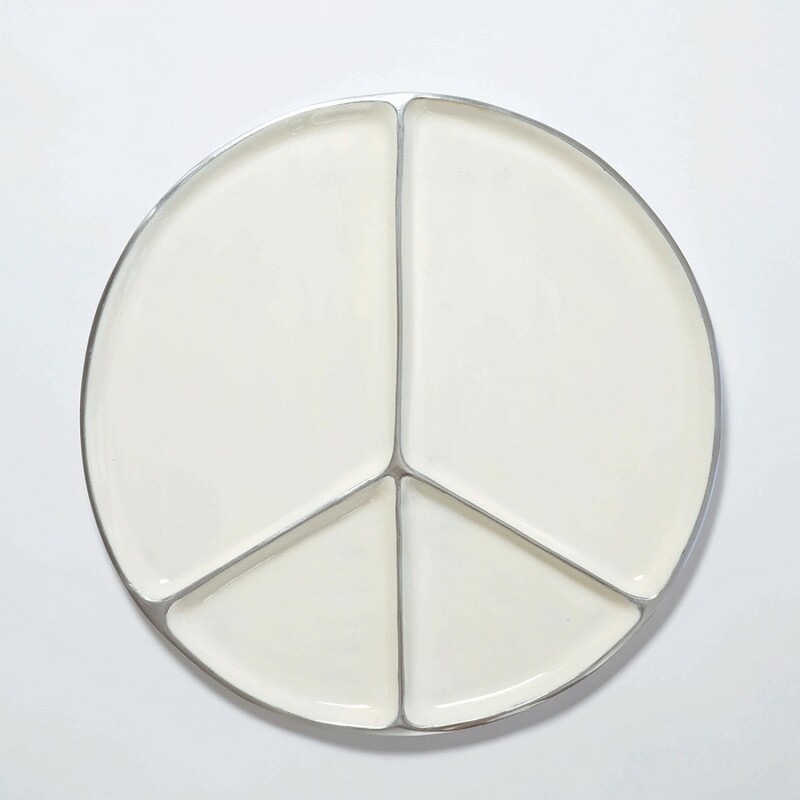 This groovy serving platter is sure to be a conversation piece at a 50th birthday party. Handmade of a proprietary silver-colored metal alloy that will never tarnish or break, with a pearlescent ivory interior, it measures 15 inches in diameter.